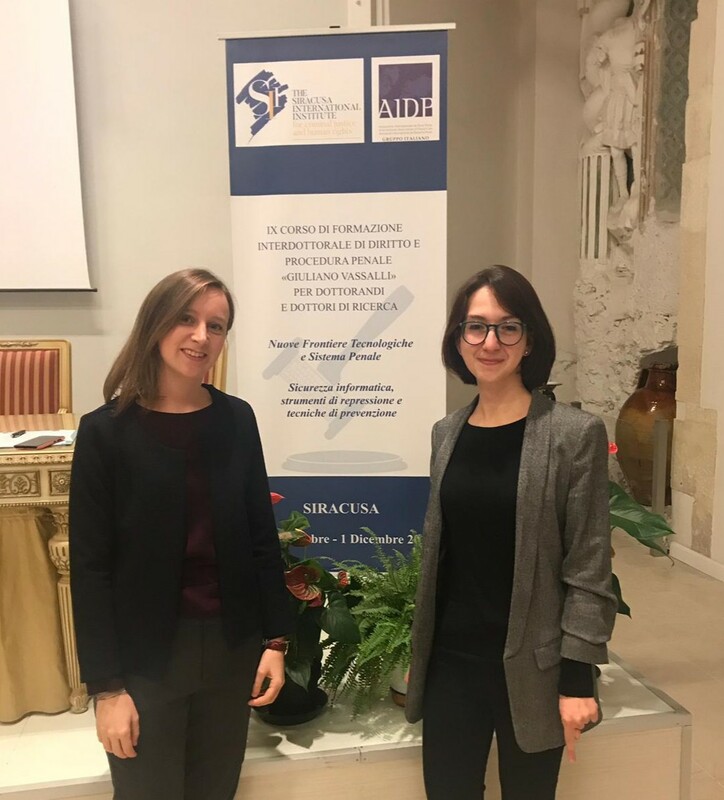 Barbara Occhiuzzi and Gaia Fiorinelli, two PhD students of Sant’Anna School Law Institute (field Criminal Justice) were selected to attend the 9th annual “Giuliano Vassalli” training course sponsored by the International Institute of Higher Studies in Criminal Sciences (ISISC) and the International Association of Penal Law (AIDP). The course on “Frontiers in Emerging Technologies and Criminal Justice System” was held in Siracusa from November 29 to December 1, 2018. Gaia Fiorinelli gave her talk on legal empowerment, the internet-related data protection, and guarantees, rights and obligations of the internet users. Barbara Occhiuzzi gave her presentation on predictive models for law enforcement. Under the scientific supervision of Professor Alberto di Martino and Professor Gaetana Morgante, the students underlined the importance of protecting users’ privacy, as speedy developments in the area of emerging technologies have proved challenging in relation to the collection and use of information and personal data. Cover photo, from left to right: Gaia Fiorinelli and Barbara Occhiuzzi.